Home security is one of the most important things you can spend your money on. Now, one of the oldest and most trusted names in the business of home products, Carrier, has produced a line of smarthome and security products called Côr. This is a line of professionally installed systems that will alert you as a homeowner of any breach in security such as break-ins or fire. You can use up to 16 cameras and you have total remote access. But Côr is more than just security; it also provides a wide range of smarthome products as well. 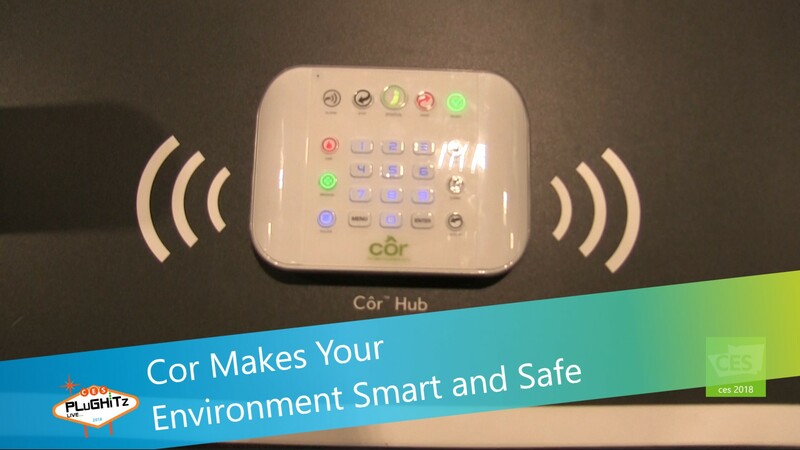 From lights to garage doors, Côr can control a lot of the devices in your home. In an example at the booth, they used a wireless button to simulate arriving at home, where the garage door opened, the living room lights came on, and as the person moved through their home, the lights would com on in the new rooms and turn off where they had left. All of this provides a nice convenience for your home, to compliment the security and safety features of the system. This product is best served as professionally installed because of the technology involved. The starter kit is priced at under $1000 plus installation. However, when you purchase this, you own it and there is no monthly fee because it is self-monitored. In addition to the existing products, Carrier will soon be releasing a doorbell camera. For more information check out their website.